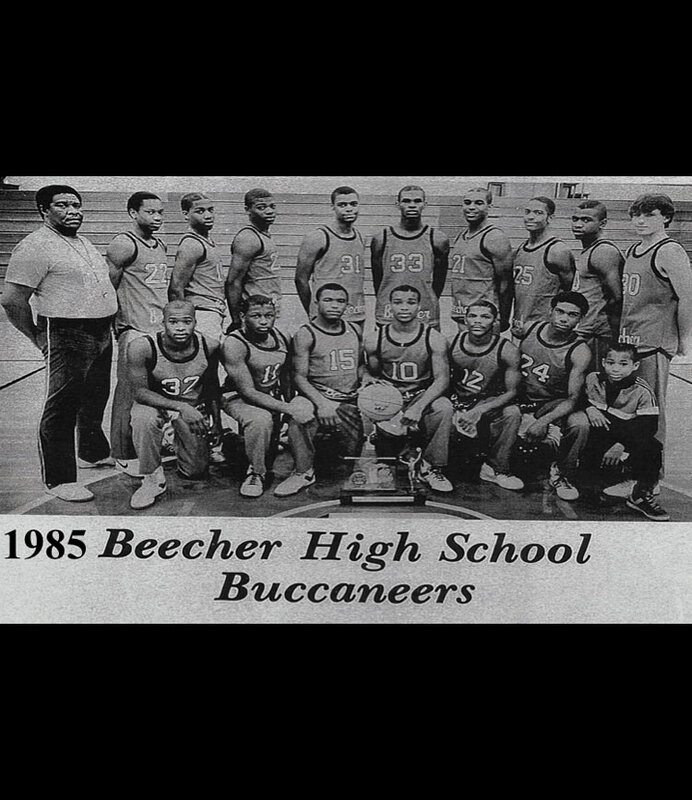 The Beecher Buccaneers were undefeated with a record of 27-0 in the 1984-85 Basketball season. They were the Big Nine Conference Champions and won the State Class B Championship under head coach Mose Lacy. Coach Lacy and players Roy Marble and Courtney Hawkins are all GFAASHOF Inductees as individuals. Other players on the 1984-1985 Flint Beecher Men’s Basketball Team include Ernest Stewart, Thad Williams, Lacy Harris, Darren Thompson, Norman Mize, Randy Clark, Douglas Alexander, Ricky Johnson, Maurice Hughes, John Boyton, Warren Walker-Bey, Henry Dixon, Robert Schermerhorn and team manager M. Harris. Flint Beecher 1984-1985 Men’s Basketball Team you are the true definition of being “Flint Strong”! You have made Flint proud, welcome to the Greater Flint African-American Sports Hall of Fame!